With the inception of the Eva’s Bridal Center in 1946, our long-standing name has deep roots in bridal. We have had the pleasure of working with thousands of brides in the Greater Milwaukee Area over the many years we have been in business. As a ‘constant’ in the changing world of bridal stores over the years and with a new owner in 2013, the Eva’s Bridal brand began to truly evolve. As a team, we worked diligently to define our brand by our experience, the Eva’s experience, including not just our product and processes, but also our stylists who represent our brand and everything we stand for. We have redesigned and remodeled a beautiful space for our brides to shop in and enjoy, enhancing the overall experience within our store. We know that buying a wedding dress is so much more than the dress. It is the start of an amazing journey together, the start of a new beginning and a special time to share with friends and loved ones. 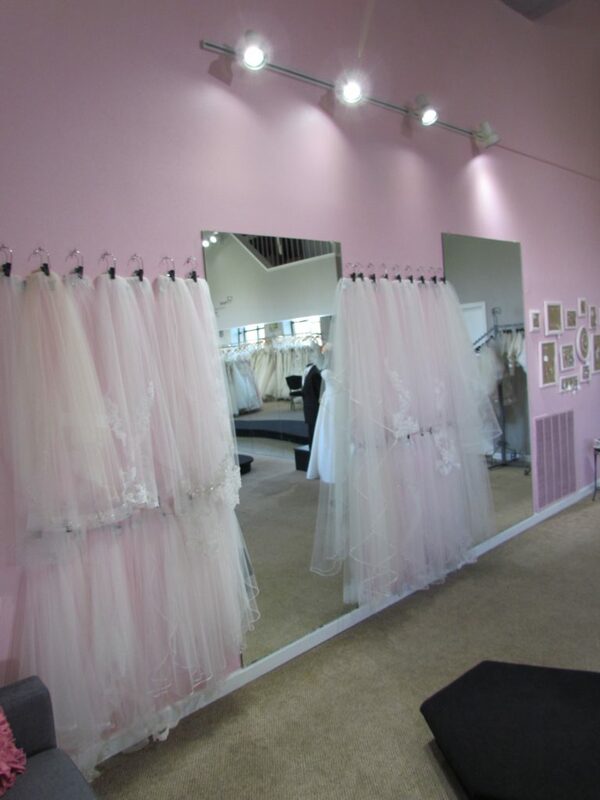 At the end of the day, we want you to not only fall in love with your dream dress, but also with us at Eva’s Bridal. We are here to help you find your dream wedding dress and want to be here for you every step of the way until you walk down the aisle. We are so proud of what our brand has become and the product we are able to offer our brides with so many award-winning designers. Being voted #1 for best wedding dresses for the last four years is an honor and it is exciting to see that our continued expansion and diversification of our designer collections resonates with our brides looking to find that truly, one-of-a-kind special wedding dress. With the evolution of our Eva’s Bridal brand, we were thrilled to open the doors to our second location, Evermore Bridal, with the intention to bring the ‘downtown boutique’ experience to the suburbs, making it accessible to all brides in centrally-located Brookfield. As an extension of the Eva’s Bridal brand, we have received a very warm welcome from the city and our brides. It has been a blessing and an amazing journey to be able to grow and expand our business, offering a completely complimentary, yet uniquely-different, set of designer offerings and bridal experience for our brides. We know that buying your wedding dress isn’t just about the dress. It’s about your experience, too. At Eva’s, we want you to find and fall in love with your wedding dress, but we also want you to fall in love with us. Our team is so passionate about our brides and is dedicated to providing each bride with her ultimate bridal shopping experience, from the moment she arrives until the day she wears her dress and says ‘I Do’. We want your experience to be all that it should be: fun, memorable and successful! 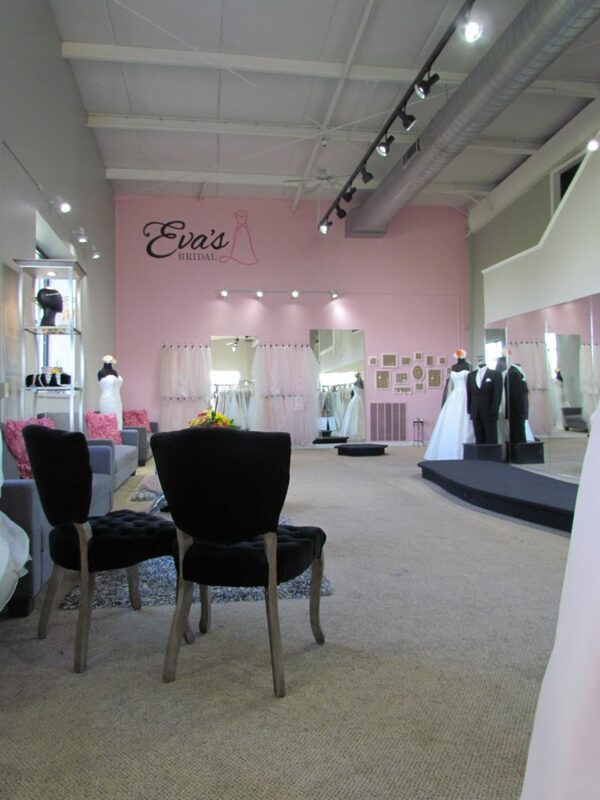 At Eva’s, we have designed and remodeled our store, keeping our bride’s experience as our top priority. 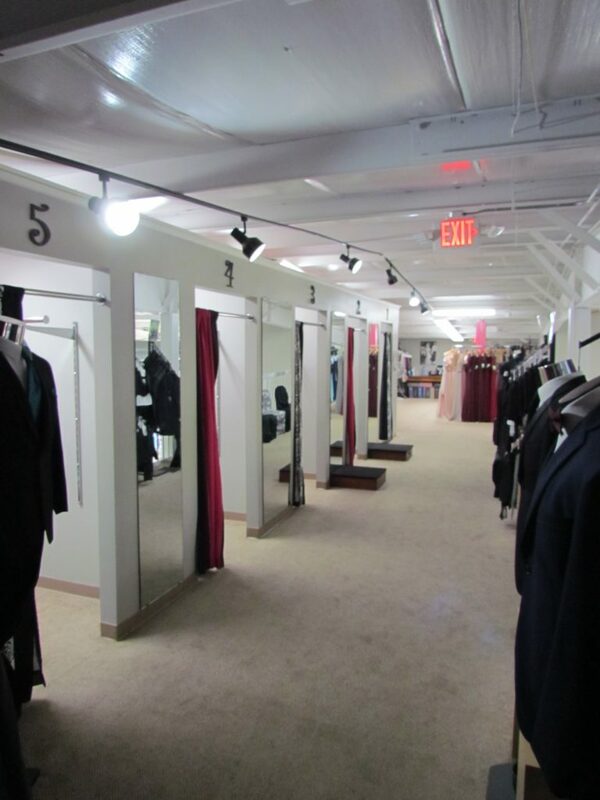 We have a beautiful interior with large fitting rooms and more than enough seating space for your family and friends. 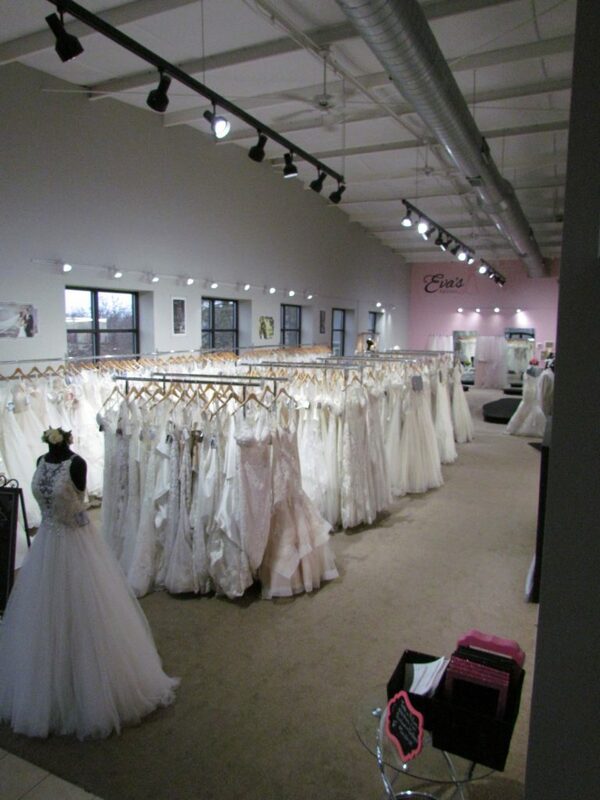 Every bride will enjoy a comfortable shopping environment. Our bridal appointments are scheduled for at least an hour and a half, which provides each stylist with time to learn about you, your wedding dress preferences and your complete wedding day vision. Then, we cater fully to you to make it happen and make your vision come to life. 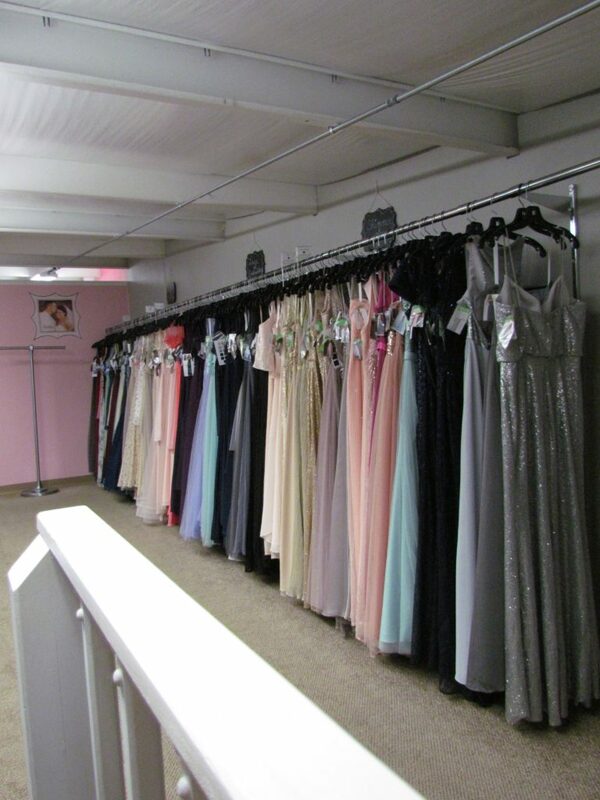 Your dream dress awaits, so let us help you make it a reality! We know that what makes a great experience is the people and who you share it with. At Eva’s, our role as your personal bridal stylist isn’t just a job, it’s a calling. It’s our passion. Our team loves all things bridal and we are a team of experienced and trained stylists who are here to cater to you and take care of all of the details (since let’s face it, you have enough planning to do for the big day!). We are here for you! We want to share a little bit about us, so read below to learn a little more about your Eva’s team. Erin, Owner – I met and fell in love with my husband 15 years ago and found the dress of my dreams 12 years ago at Eva’s. I not only fell in love, but also fell in love with all things bridal during my wedding journey. Little did I realize that Eva’s Bridal Center would soon become a second home, my career and also an extended family. Extending the Eva’s Bridal Center brand with the addition of Evermore Bridal has been such a special journey, allowing us to continue to be able to share in one of the most important days in a bride’s life. Being a part of so many special days over the years has truly been a blessing. I cannot wait to continue this honored tradition and look forward to working with many more brides and their families and friends. Rachael, Manager – I fell in love with fashion in high school. I was always trying to come up with unique designs and make my own clothing. My interest in fashion combined with my desire to help people made bridal the perfect profession for me. It was a long journey leading up to my career in bridal, but once I found Eva’s Bridal, I felt like it was meant to be. I love making brides happy and helping them create a special memory while planning for their dream wedding. I feel very blessed to be a part of their bridal experience. Chris, Bridal Stylist – I started working for Eva’s when it was located on historic Mitchell Street. I cannot imagine doing anything else. I love hearing every bride’s story and seeing the expression on my bride’s face when she realizes she found her perfect dress. It is a priceless moment to share and one of the most beautiful things in the world is seeing a bride in her bridal gown. Julia, Bridal Stylist – I am newer to the bridal industry, but can confidently say that I love my career. It tugs at my heartstrings when tears start flowing when a bride says ‘yes to the dress.’ Being a bridal stylist really is such a rewarding job because I have the pleasure of helping my brides find the dress that they will start their forever in. Weddings can be stressful, so it is nice to be able to help each bride as much as I can, making dress shopping a fun and enjoyable experience.